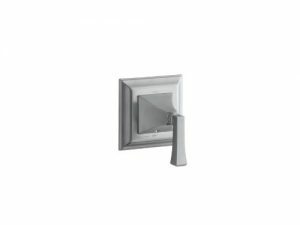 Extend the classic details of Memoirs throughout your bathroom with this valve trim. The trim’s Deco lever handle offers easy operation and features Stately design details for a sophisticated look. Memoirs faucets with Stately design offer a refined elegance for your bath or powder room. Cross and faceted lever handles complement the clean transitional spout style. Ergonomic lever handle is ADA-compliant. Soldby Wholesale Direct AMZ . Status only 4 left in stock.